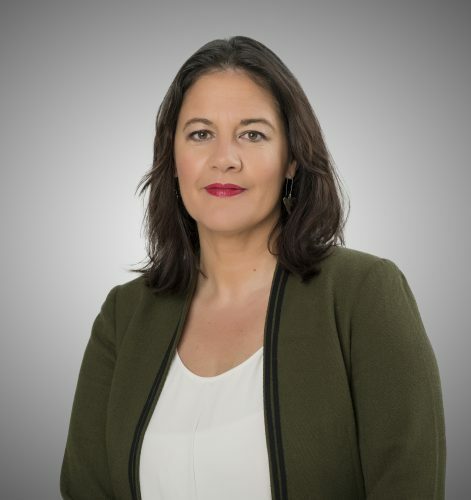 Kristen Kohere-Soutar (Ngāi Tahu, Ngāti Porou and Rongowhakaata) is set to move from being the Chair of Whai Rawa to take up a new challenge on the board of Mercer New Zealand. Mercer is one of the world’s leading firms for superannuation, investments, health and human resources consulting and products. Martin Lewington, Chief Executive Officer, Mercer New Zealand said he was thrilled to welcome such a talented individual who he knows will make a significant contribution to the Board. Kristen, will join a very small group of māori woman to have been appointed to the board of a global professional services and investment corporation. She has a governance and leadership background in the finance and investment sectors starting early in her career with KPMG and Minter Ellison, and later developing a corporate wide Māori banking strategy for Kiwibank. Kristen is also on the Ngāti Porou Holdings company and held directorships with ASB Community Trust and Aotearoa Credit Union. In 2012, Kristen was appointed as a Director of the Ngāi Tahu Whai Rawa Fund Limited (Whai Rawa Board) Board and in July 2015 was appointed Chair. Lisa Tumahai, Kaiwhakahaere, Te Rūnanga o Ngāi Tahu, says this is an opportunity that Kristen could not turn down. “Kristen brought with her a breadth of experience when she joined the Whai Rawa Board and she has taken the program from strength to strength,” says Lisa. During her tenure as Chair of the Whai Rawa Board registered members in Whai Rawa increased by 3,365 (20,141 to 23,506) and funds under management grew $18.5m from $44.5m to $63m. “One of the big achievements that Kristen led for Whai Rawa was ensuring it became a Managed Investment Scheme under the Financial Markets Conducts Act. This meant Whai Rawa became the only iwi owned managed investment scheme in the world,” says Lisa. “Kristen has done so much to help Ngāi Tahu whānau in her role and we wish her all the very best in her future endeavours,” says Lisa. Kristen Kohere-Soutar says she looks forward to working with the board and Mercer NZ. “It is an honour to serve my iwi and now Mercer NZ by contributing to the future growth and prosperity of our members and clients,” says Kristen. Kristen commenced her role with Mercer in August 2017, and will step down from the Whai Rawa Board early in November 2017 to allow Te Runanga o Ngāi Tahu to appoint a new Chair. Protocols are in place to manage the dual-directorship in the intervening period. More information on Whai Rawa can be found here.